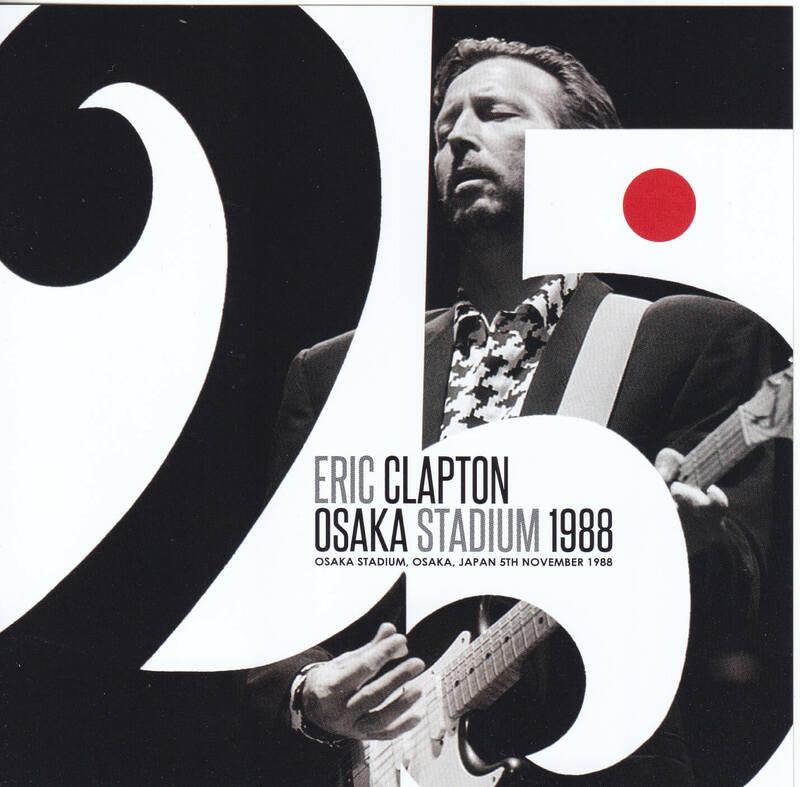 This week’s Eric Clapton release, Tori is the best audience sound source of the stadium performance of 1974! In this way, all three releases of this week were all stadium performances. ’74, ’88, ’92. It turns out that Clapton has been performing at the stadium, which is the highest peak of the artist, for 18 years, without any decline in popularity. Indeed, Clapton. And this board is in the year of the drunken tour of 74 years, and it is recorded the performance and record valuable day. The master of this board is also the low gene master that came from the heavyweight taper which is familiar in the UK, and the sound image is monaural but its freshness and spread, and the clearness has never been experienced so far. The date is July 7, 1974 at the Roosevelt Stadium in Jersey City, New Jersey. There were also already released boards of the same monaural audience recording where the existing board recording of the incomplete sound board source of this day was missing, Present Of The Lord, but there was already an already released board of monaural audience recording. This record (although only Key To The Highway has not been recorded yet, but the Crossroads which has not been recorded on the soundboard title already recorded) has achieved almost complete recording in the recording, and enjoys the whole story in a single pass, the taste of the audience recording It is something that can be felt, it can be a new definitive edition of this day. 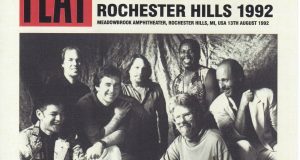 Our shop recently released “Summerfest At Rich Stadium 1974,” which recorded the Summerfest stage held at Rich Stadium in Buffalo, New York, on the 6th of July, the other day. The great Freddie King, who had been taking part, is also participating on this day. It would have been fun to co-star with the disciple. Listening to the finest sound quality King and Clapton’s incredible guitar battle stirs excitement over the previous day. After this co-starring King is inviting Clapton to the recording session of his new album “BURGLAR”. Clapton would have been happy to get along with the longing bluesman. Now let’s look at what the performance of this day was in this comeback year. This show was the 8th show that went into the tour after a warm-up gig in Northern Europe. It can be said that it is a valuable sound source of the time when it was frustrated, just returning from the stage due to drug addiction over three years. This national tour was famous for being a drunken, half-out-of-the-world tour that relieved tensions for a long time on the live stage and the pressure to be watched by tens of thousands of audiences. Moreover, at this point in time Patti Harrison (Boyd), who would be the support of the mind, had not arrived (it was in Los Angeles 12 days later that Patti joined). So he had no choice but to protect himself with liquor. You can see that Clapton on this day is also quite jealous as the day before. You’ll be greeted by a flashy cracker, and you’ll hear a drunken announcement from something out of nowhere (Roger Waters would have spited and rebuked the audience). We are showing humor, saying, “If you throw things in, throw money in it,” for a customer who is entertaining and throws things on the stage. The first time in a row is clearly shown in the vocals, and the vocal lines are broken, tanned more than necessary, and arranged in a selfish manner. It is also a surprise that there is no miso in play. From the freakishness of drunkenness, Presence of the Lord suddenly starts from the bridge section, and Badge and Tell the Truth play out with an end and selfishness, but the back band responds to it brilliantly and the performance is sound It is the proof of the potential of this band that is in conflict. Because of this high play quality, it is an interesting source that can be heard without dropping. The set list is voluntarily covered, and it covers almost all the popular songs of this career up to that time, from cream to dominos, but on the same day the most popular song Layla has not been set in However, even before the release, I do not play I Shot The Sheriff scheduled to single cut (single release is July 31). Still, Let it Rain is a sharp solo, and it’s a rare number with a rhythmic riff-centered number, Willie and the Hand Jive. But the highlight of the day is the scene with Freddie King mentioned above. 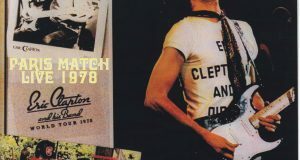 The previous day is Clapton who called the King properly before the performance, but on this day it is the end that the performance is started without permission. There is a scene where the audience gets a lot of excitement during the intro, but Fredy should have appeared from the stage sleeve here. Freddie and Clapton are already playing from here. Both sides show each other’s meaning and collide. The straton with a thin line is a Clapton tone, and the fat tone is a Freddie ES 335. The sound quality is so clear that both play can be heard clearly. Where would you raise your army? (The song is King’s victory). Anyway, this guitar battle is amazing! The drunken Clapton flies with the phrase of squeaking. Regardless of how drunk Clapton is on this day, it can be said that it is a worthwhile sound source just by listening to this co-star. As the audience source of this day, this edition is definitely the definitive edition in quality. As Clapton himself said, “The 70s of regret that he had been wasted with alcohol,” this tour, which triggered him, saw “weak, sloppy Clapton”, which is rarely seen even on Clapton’s career. Although it is exposed, it is also a sad record that he had to protect himself. However, the guitar play which never reduced the quality. Therefore this tour was a great success. 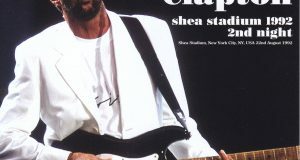 This week’s simultaneous release of “Shea Stadium 1992 2nd Night” shows the appearance of “Strong Clapton” that has survived the tragedy, but on the other hand, the American fan sympathizes with him because there is also Clapton like this one. I think that I admired. A guitar play that defends the quality while becoming sloppy. Please enjoy this good taste. This is also a limited edition with a sticker with a serial number representing the first press, so please order early.